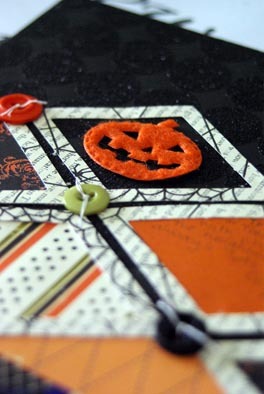 Michele used the Making Memories Spellbound range for this layout, (the papers, buttons, corner, raven and pumpkin), as well as some grungeboard and even a little Cricut cut spider too. Michele also cut her diagonal frames from her machine and matched papers to back them. 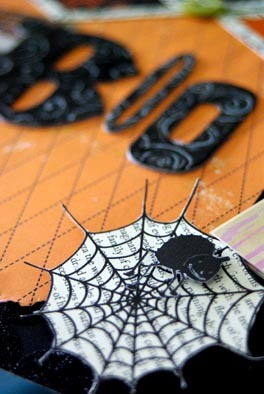 The background page doesn’t show up well in this photo, but it’s black glittered dots. 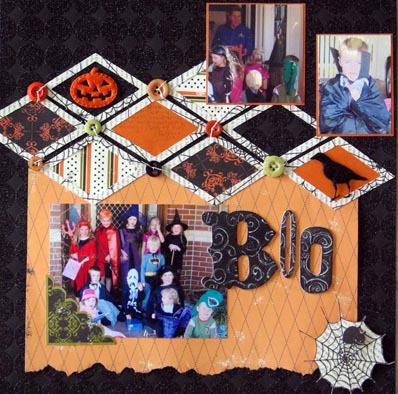 This entry was posted in Cricut Layouts, Design Team Work, Halloween, Products, Scrapbook Layouts. Bookmark the permalink.